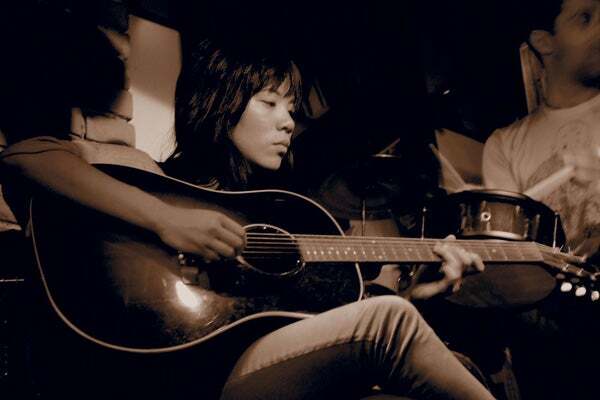 There’s no mistaking a Thao Nguyen track: The singer-songwriter has a sound like none other, a laid-back rasp floating above instrumentation that's equally off-kilter. Raised in Falls Church, Nguyen first picked up a guitar at age 12, and made a splash with a 2008 single. Since then, she’s worked with artists like Andrew Bird, Mirah, and Laura Veirs, and toured extensively before finally settling in San Francisco. 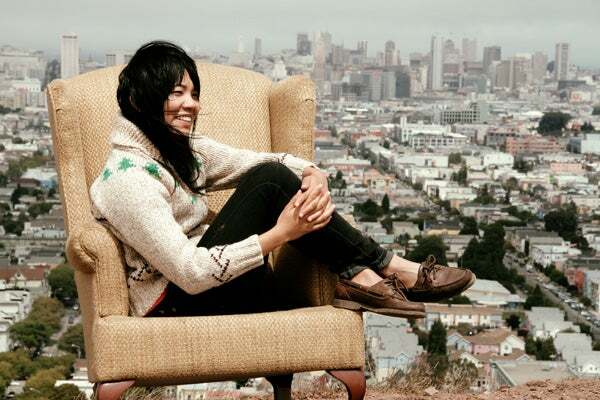 Now, Nguyen and her band, The Get Down Stay Down, are back on the road to promote their acclaimed album, We the Common, including a stop at the Black Cat on Wednesday. Aside from her musical career, Nguyen has lots of other things going on: She’s an activist, volunteering for causes such as the California Coalition for Women Prisoners and advocating for the incarcerated. She also writes essays for Spinner and Magnet, and recently brushed up on her acting skills for a series of satirical video shorts called “Behind The Making Of The Making Of How It Was Made." We caught up with her to talk about this week's rollicking live show, what D.C means to her now, and how advocacy informs her work. You grew up in Falls Church, but you've lived in a bunch of other cities. Does the Washington metro area still feel like home to you? "It feels like home because that's where my mom [and brother are] —my family lives there still. I'll always come back to the area. I have really good friends who knew me when I was young and watched me grow up. You can't replace that." Do you have any favorite D.C. haunts or places you always come back to when you're in town? "Not in D.C. proper. I grew up in the suburbs; I never really got into D.C. that much. When I'm home, I just try to chill and eat as much of my mom's cooking as I can." Do you have any memories of 9:30 Club or Black Cat concerts growing up? "One of the first shows I ever saw was Lucinda Williams at the 9:30. I'm a huge, huge Lucinda Williams fan. She's a big influence on me. That was one of the more transformative moments of my teen life. Just seeing her doing that thing I wanted to do. We would check out shows at State Theatre and Wolf Trap. I loved to go to Wolf Trap in the summertime. I remember when I was in high school, they made us write down two key things we wanted to do before we were 30, and one of mine was that I wanted to play Wolf Trap. I only have about a year left, so I better get it on it. I'll talk to my booking agent." You've been touring for a long time. How has the experience of touring changed for you? "It has changed a lot. I started right out of college, pretty young and hapless. It's always been really fun for us. It's been a matter of maturing and understanding that it's your job, so you have to take care of yourself. Eat healthily. Don't drink. Don't make terrible decisions. There's a lot of margin for error on the road. But I don't do that anymore. I make really good decisions." How did you get involved with prisoner advocacy? What led you to the California Coalition for Women Prisoners in particular? "I've been involved in a lot of women's advocacy work, as well. A really good friend of mine and my summer housemate were involved for years with this group, and they asked me to fill in on an advocacy visit when I was home. I went the first time, and I knew that I would commit myself as much as I could to that." The album sounds like it was a lot of fun to make — it feels loose and off-the-cuff. Did you have that in mind than you were making it? "This record, more than any previous records, conveys our live energy, which i think is our strength. I wanted a lot more of our raw sound and a different element of vitality to it." We love that you teamed up with Joanna Newsom for a song on the album, because you have two of the most distinctive voices. How did that collab come together? "Joanna and I met at a songwriters' retreat near Seattle, through the really amazing work of Hedgebrook — it's a non-profit that creates retreats for women writers. They have this farm on an island, and each writer gets their own cabin. This was their first songwriters' retreat, and they invited us and a few other folks. You write all day and then you meet up at night for dinner. Everybody got along really well. I was just finishing up Kindness Be Conceived, and I asked Joanna to sing on it." It sounds like summer camp. "It was. It was a very productive, drinking summer camp." What can fans expect at your Black Cat show? "It will be a lot of indie records. It's always amazing to come home to D.C. to play, and Black Cat is always one of my favorite shows on tour because the energy's so amazing. There's nothing like going to play where you grew up." Have your fans ever given you any strange or interesting gifts on tour? "They give very sweet gifts, like necklaces and good-luck charms. Last time I was in Japan, I got toe socks. That was pretty amazing." Do you follow or try out any fashion trends? "No, I do a terrible job with paying attention to trends and stuff. I do wear skinny jeans. I think that's as progressive as I get. Years ago, my mom and my grandmother were relentless in telling me that I had to start dressing up for shows. Now I do. I've been dressing up for awhile. I normally wear a dress or a jumper."